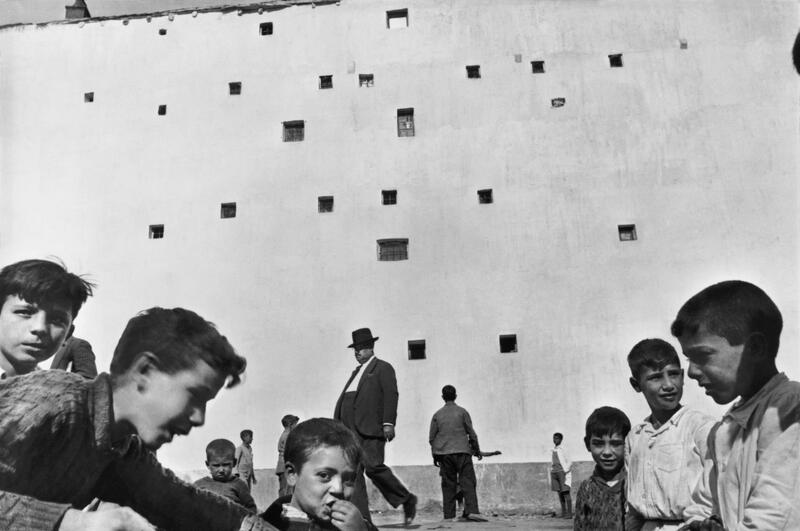 Henri Cartier-Bresson, Untitled, Madrid, Spain, 1933. 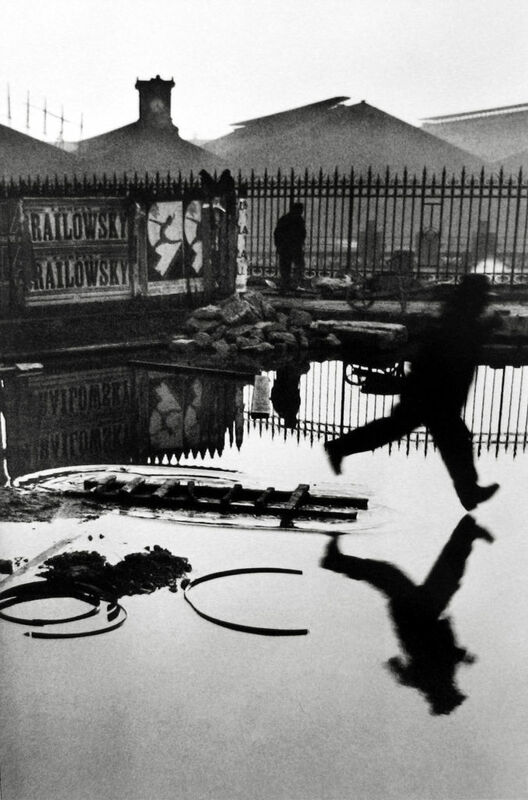 Henri Cartier-Bresson, Behind the Gare St. Lazare, Paris, 1932. 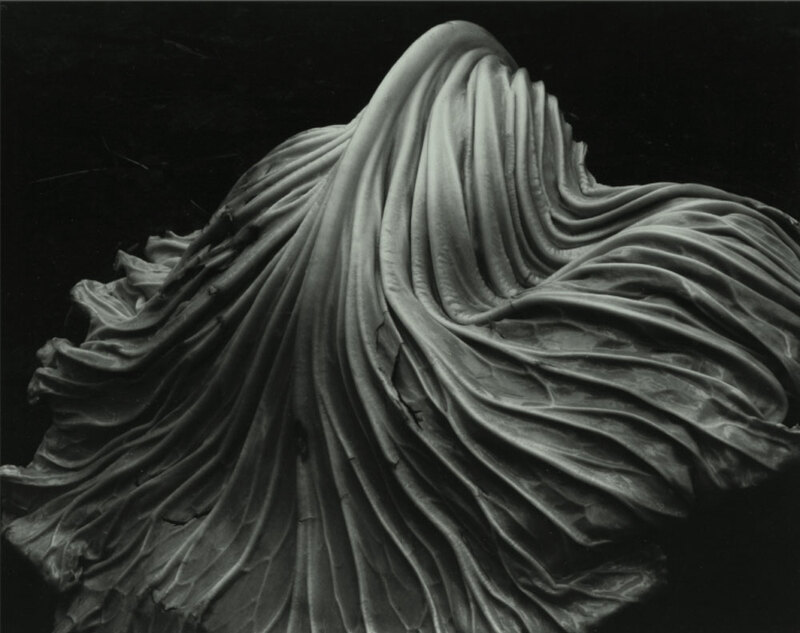 Edward Weston, Cabbage Leaf, 1931. 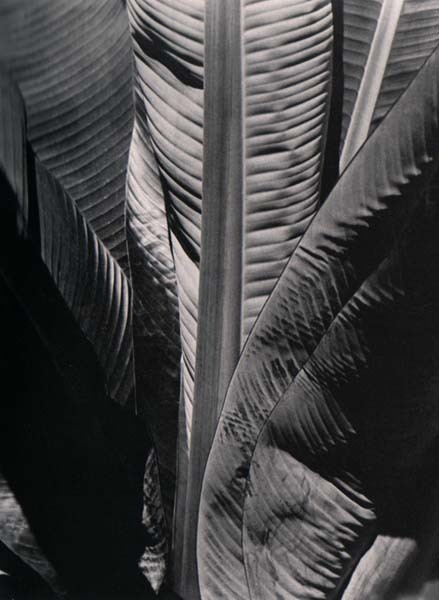 Imogen Cunningham, Banana Plant, c. 1929. 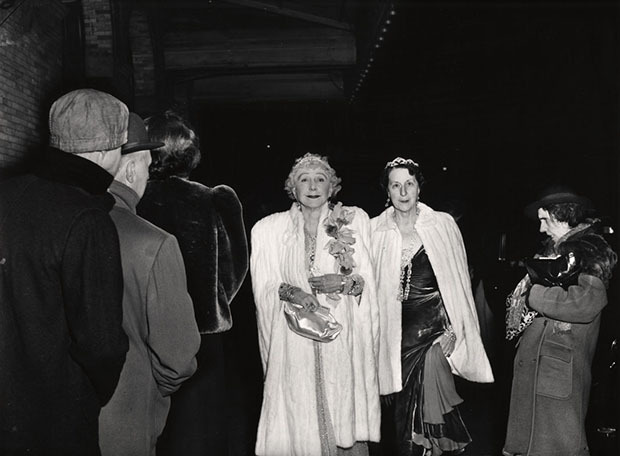 Imogen Cunningham, Two Calle, 1929. 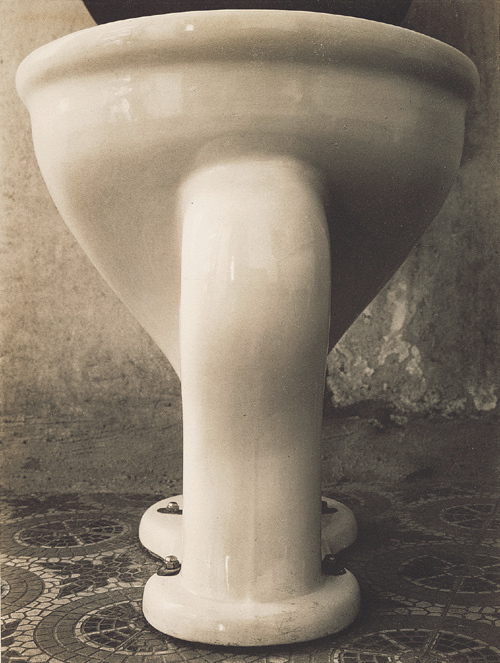 Imogen Cunningham, Frida Kahlo, 1931. 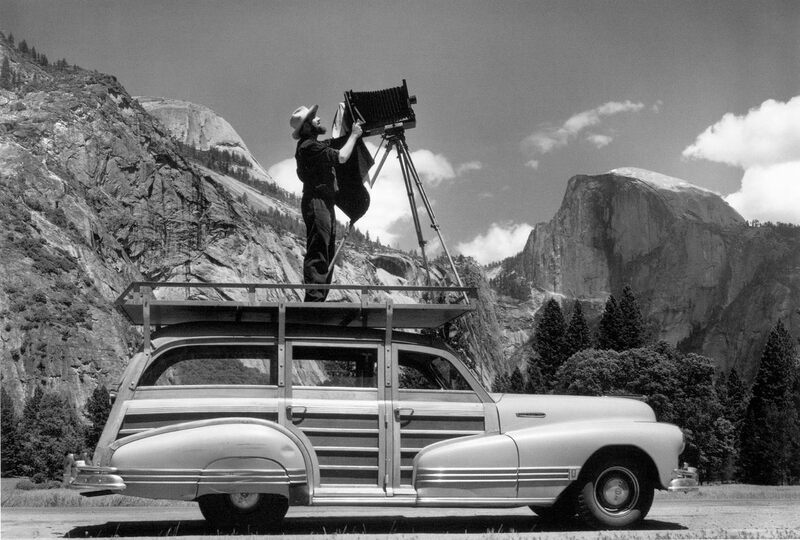 Ansel Adams, Thunderstorm, Yosemite, 1945. 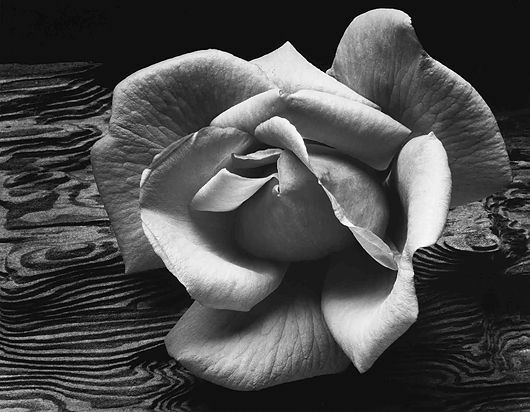 Ansel Adams, Rose on Driftwood, 1933. 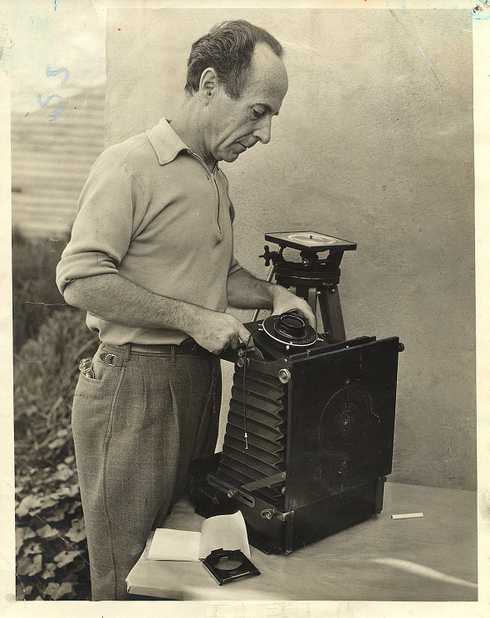 Weston described this photo as revealing "the very substance and quintessence of the thing itself"
"I could wait no longer to print them - my new peppers, so I put aside several orders, and yesterday afternoon had an exciting time with seven new negatives. 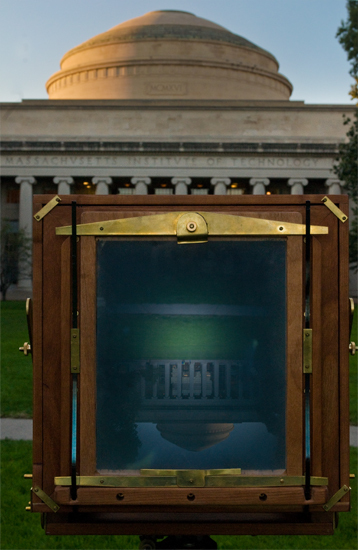 First I printed my favorite, the one made last Saturday, just as the light was failing - quickly made, but with a week's previous effort back of my immediate, unhesitating decision. A week? 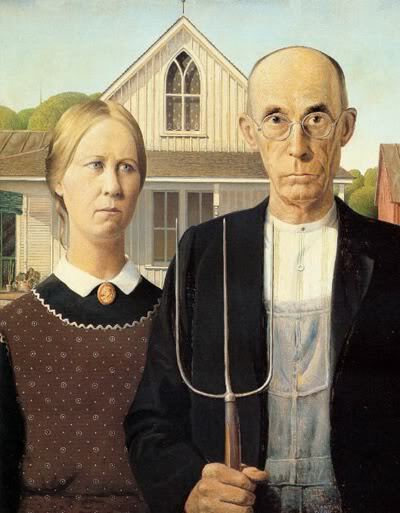 Yes, on this certain pepper, but twenty-eight years of effort, starting with a youth on a farm in Michigan, armed with a no. 2 Bull's Eye [Kodak] have gone into the making of this pepper, which I consider a peak of acheivement. 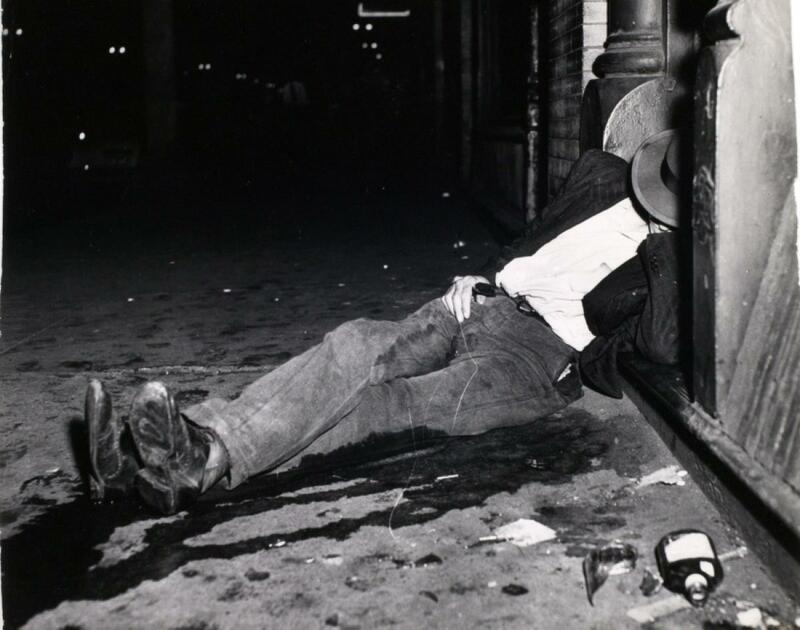 It is a classic, completely satisfying - a pepper - but more than a pepper: abstract, in that it is completely outside subject matter... this new pepper takes one beyond the world we know in the conscious mind." 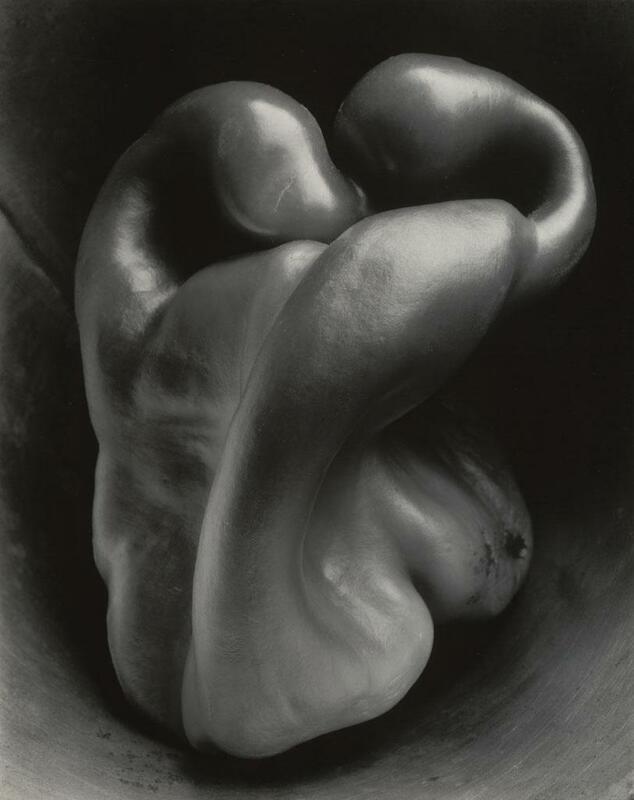 Edward Weston, Pepper #30, 1930. 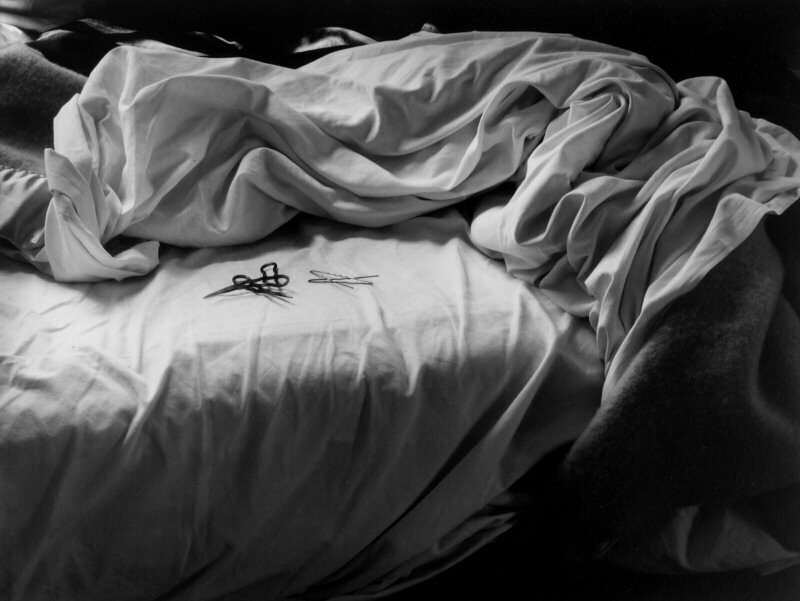 Imogen Cunningham, The Unmade Bed, 1957. 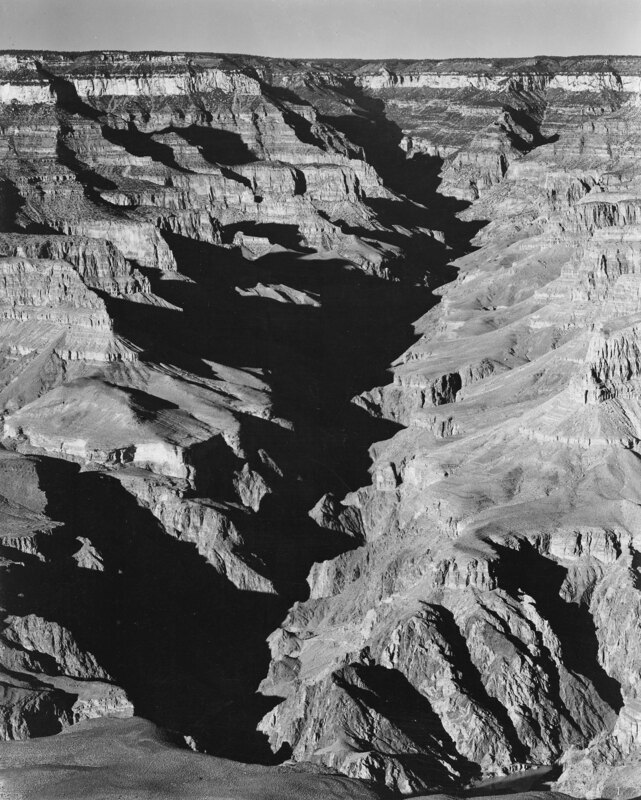 Ansel Adams, Grand Canyon from South Rim, 1941. 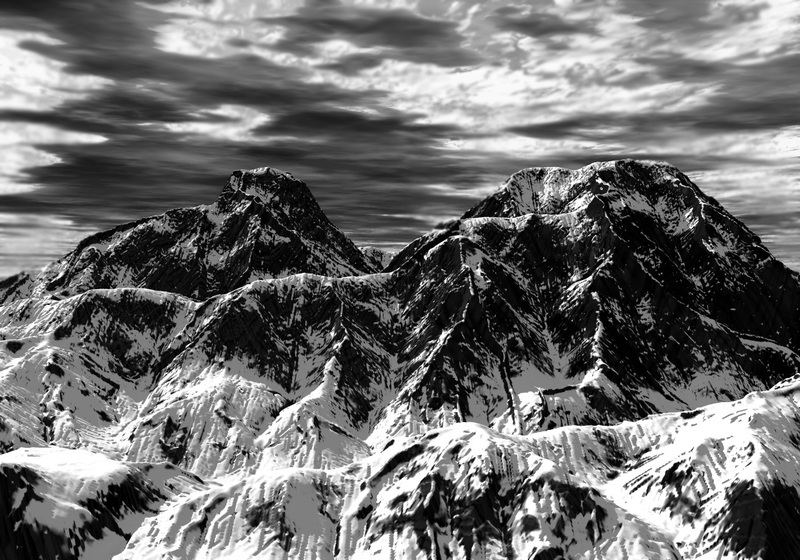 Ansel Adams, Snow Covered Mountains, 1940s. 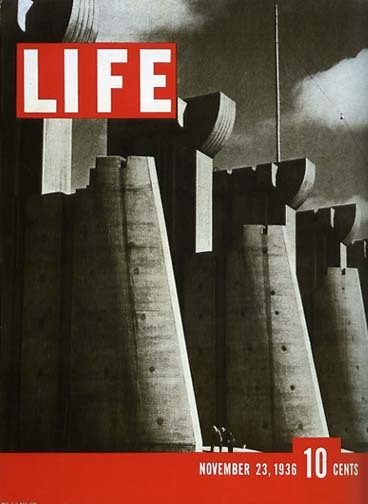 Margaret Bourke-White, Fort Peck Dam, Montana, First issue of Life magazine, November 23, 1936. 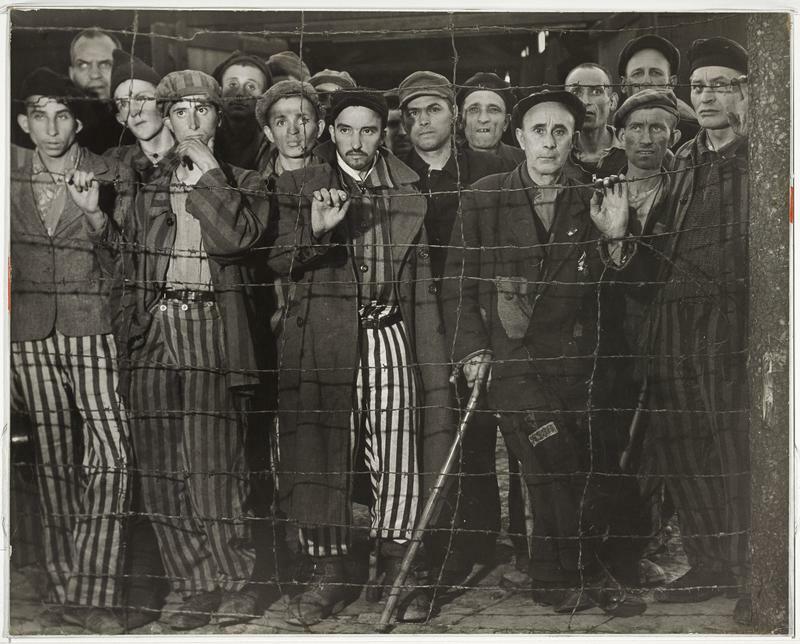 Margaret Bourke-White, Fort Peck Dam, Montana, 1936. 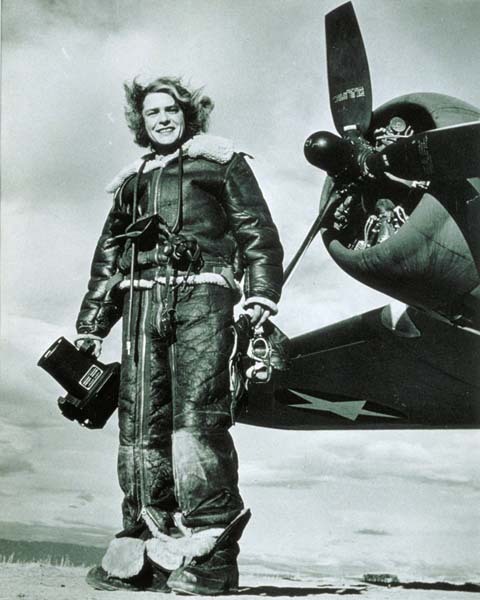 Margaret Bourke-White, Niagra Falls Power Company, 1928. 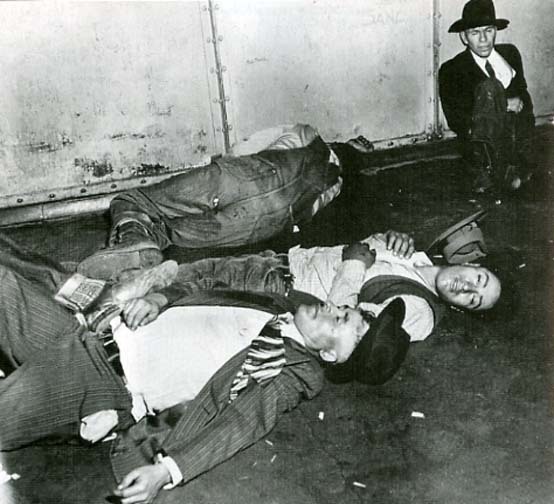 The camera would act as interpreter, recording what modern industrial civilization is, how it looks, how it meshes." 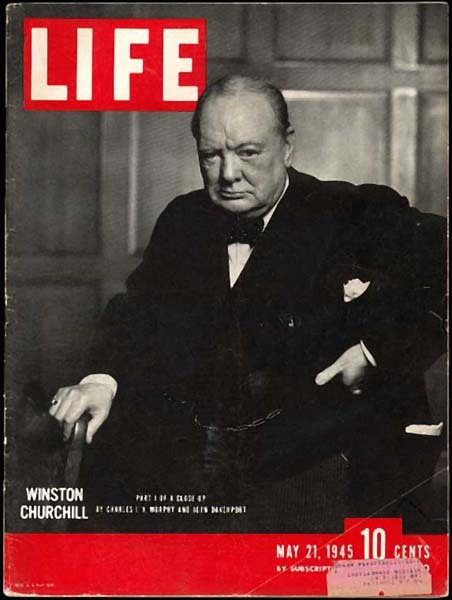 Life magazine layout for the photo essay, Nurse Midwife, 1951. 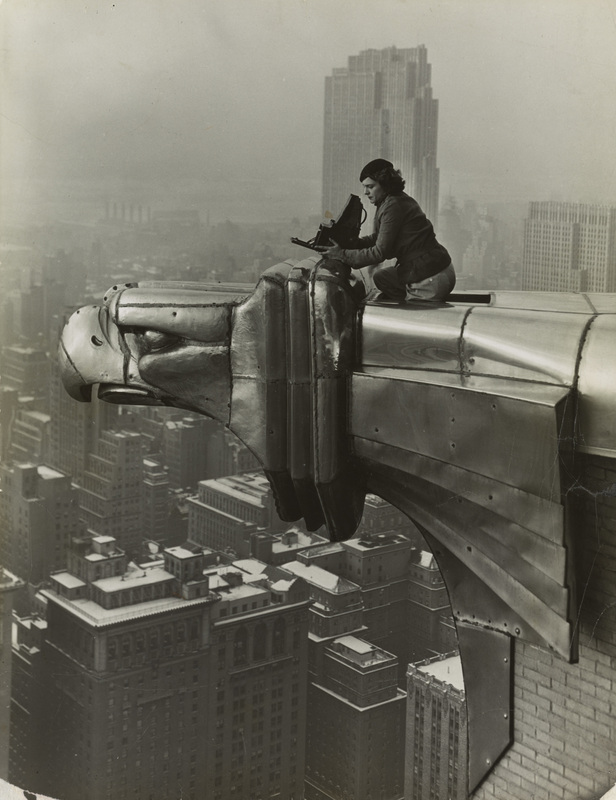 Oscar Graubner, Margaret Bourke-White atop the Chrysler Building, c. 1930. 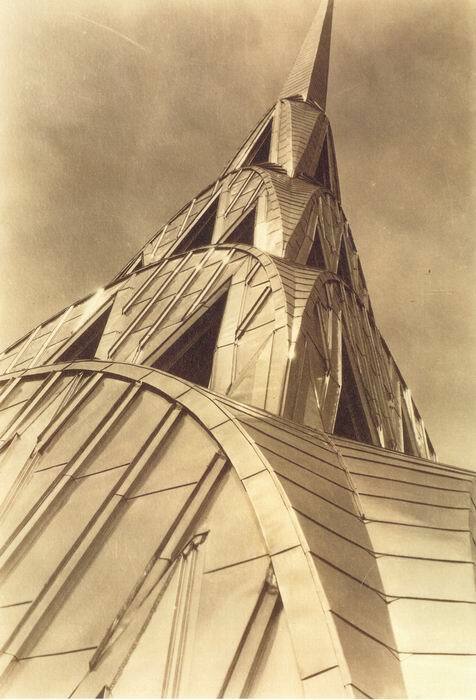 Margaret Bourke-White, Chrysler Building, 1931. 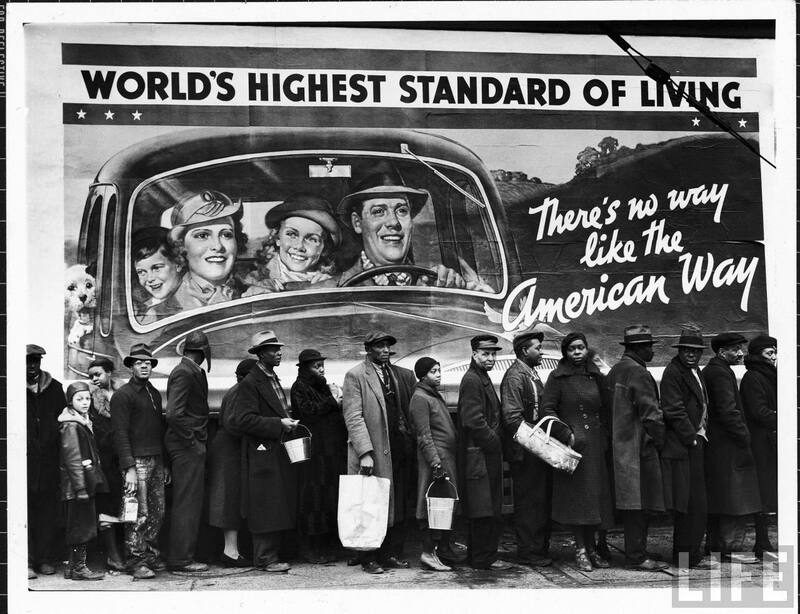 Margaret Bourke-White, Louisville Flood Victims, 1937. 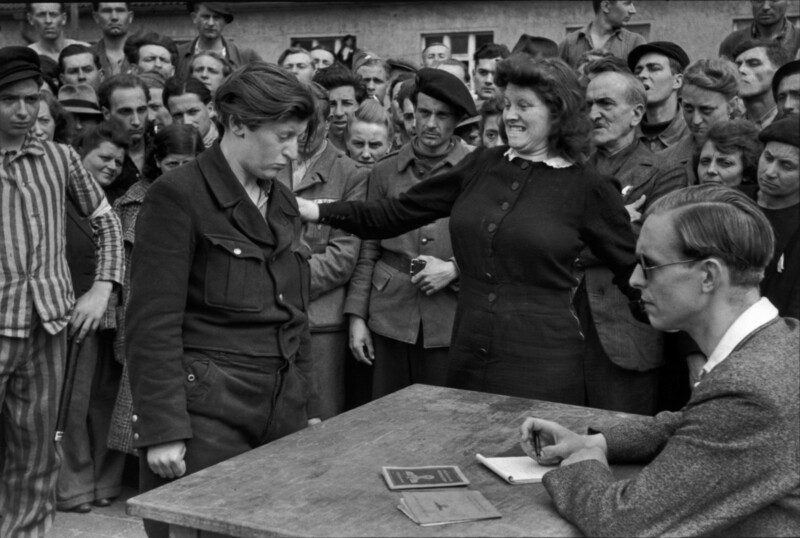 Henri Cartier-Bresson, Dessau, Gestapo Informer, 1945. 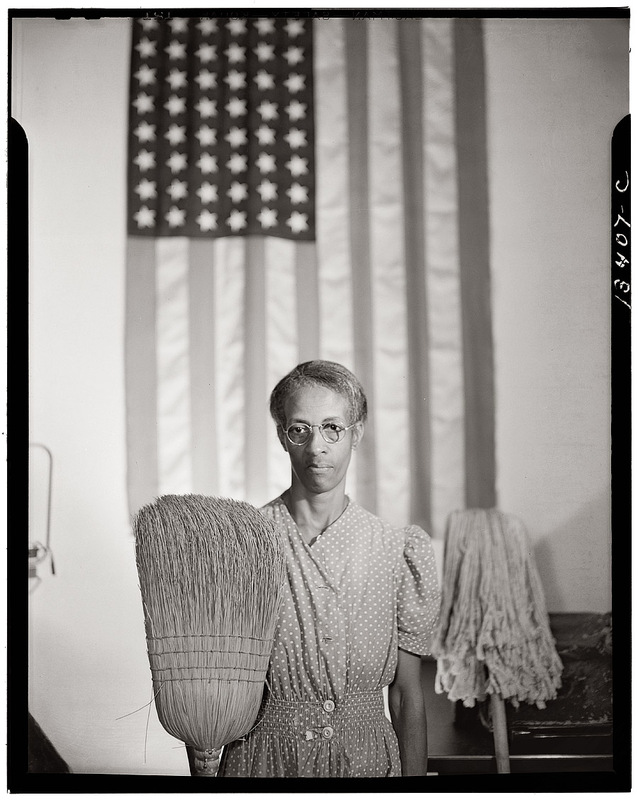 Gordon Parks, Ella Watson (American Gothic), 1942. 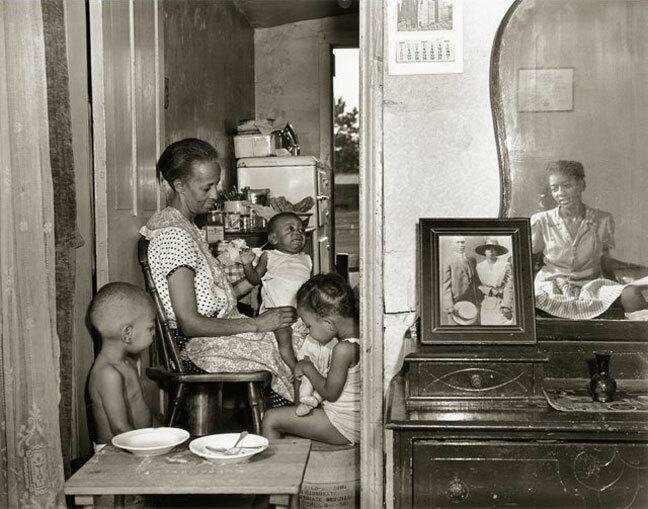 Gordon Parks, Ella Watson and her Grandchildren, 1942. 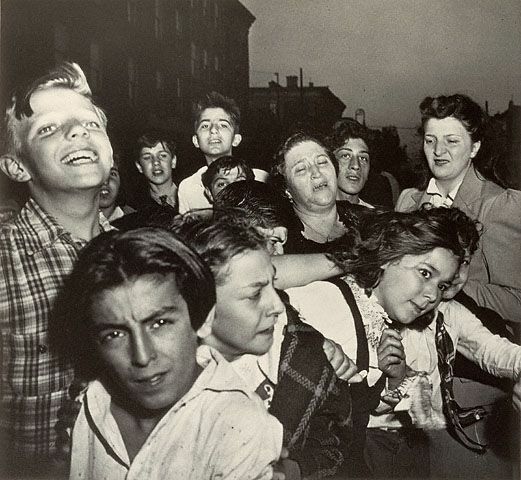 “I saw that the camera could be a weapon against poverty, against racism, against all sorts of social wrongs. 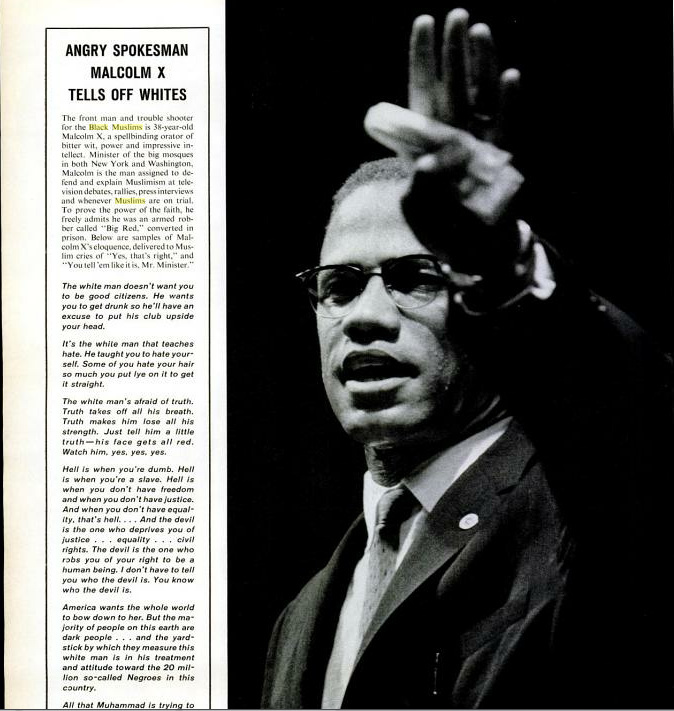 Gordon Parks, Malcolm X, 1963. 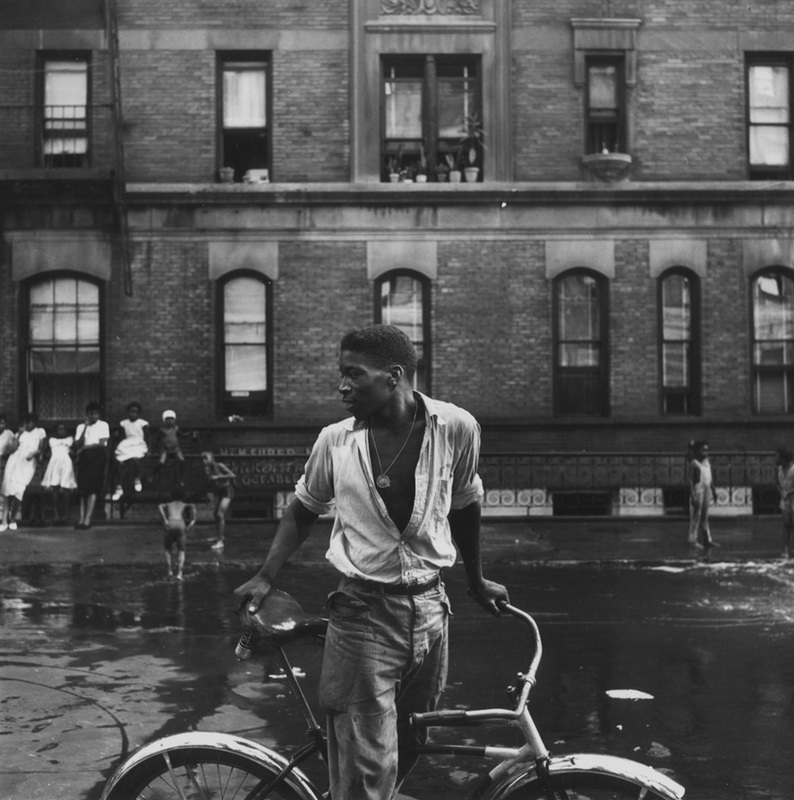 Gordon Parks, Harlem Gang Leader, 1948. 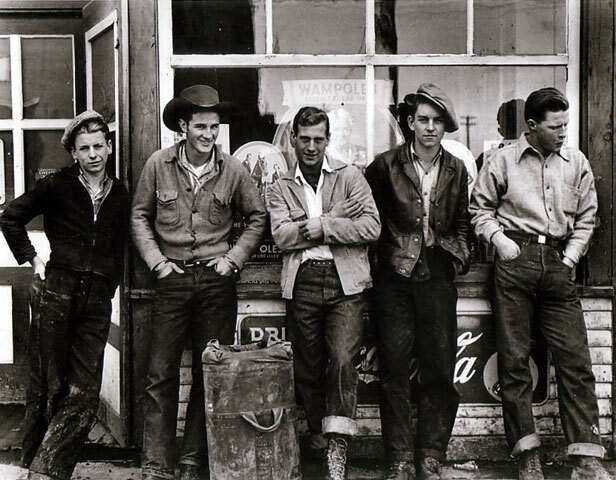 Gordon Parks, Drugstore Cowboys, 1955. 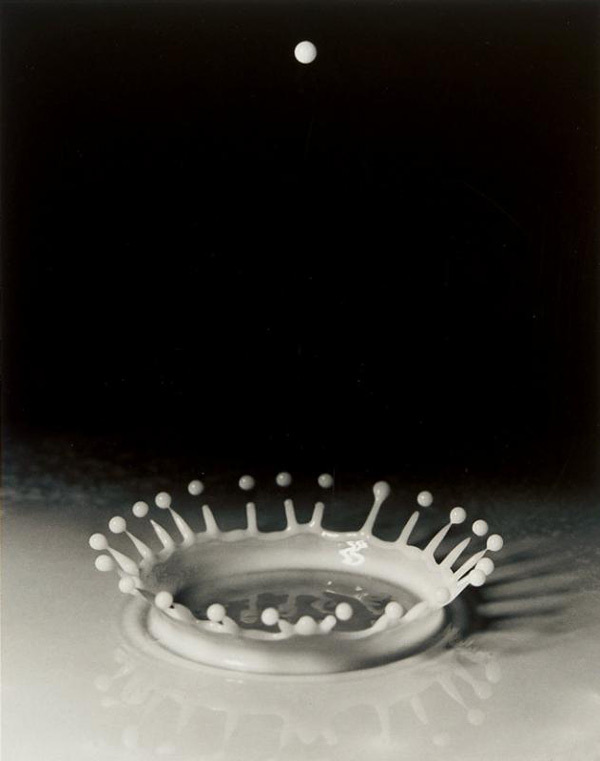 Harold E. Edgerton, Milk Coronet, 1936. 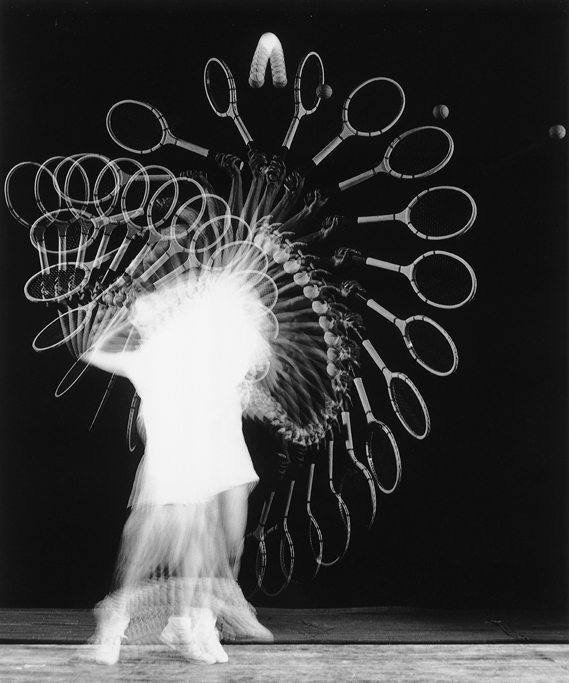 Harold E. Edgerton, Tennis Player, 1938. 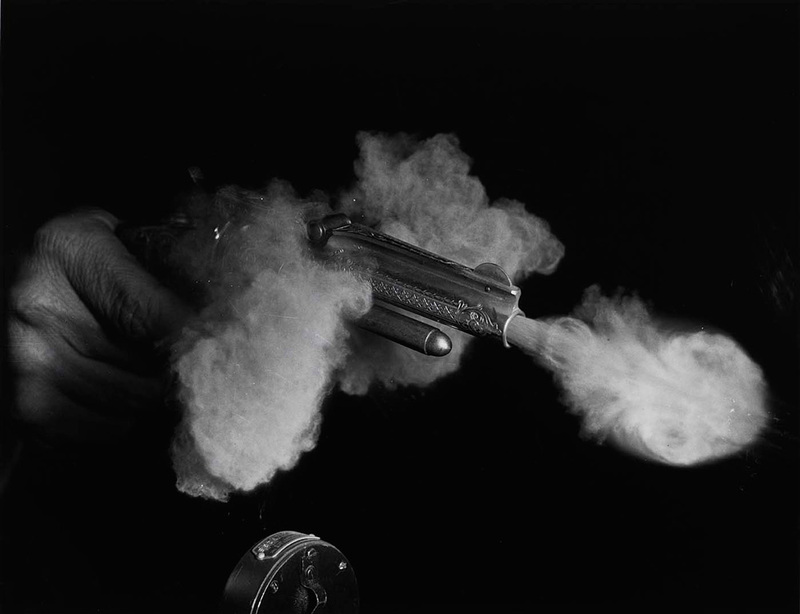 Harold E. Edgerton, Antique Gun Firing, 1936. 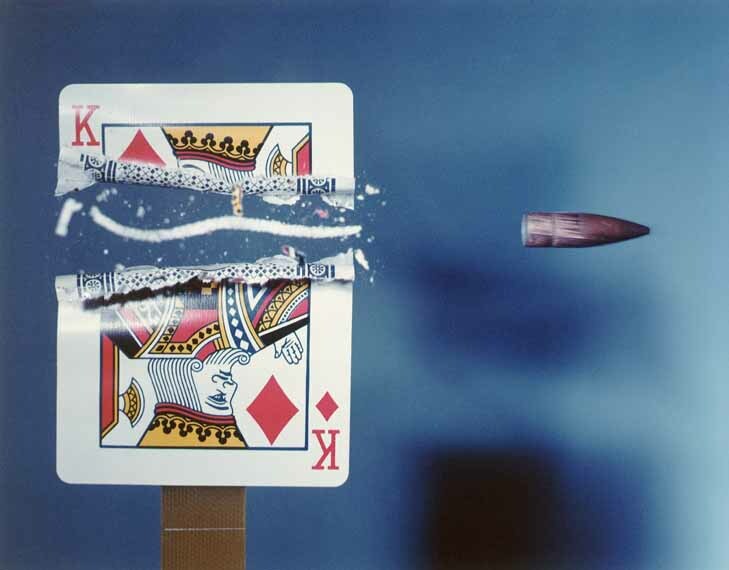 Harold Edgerton, Card being shot, 1964. 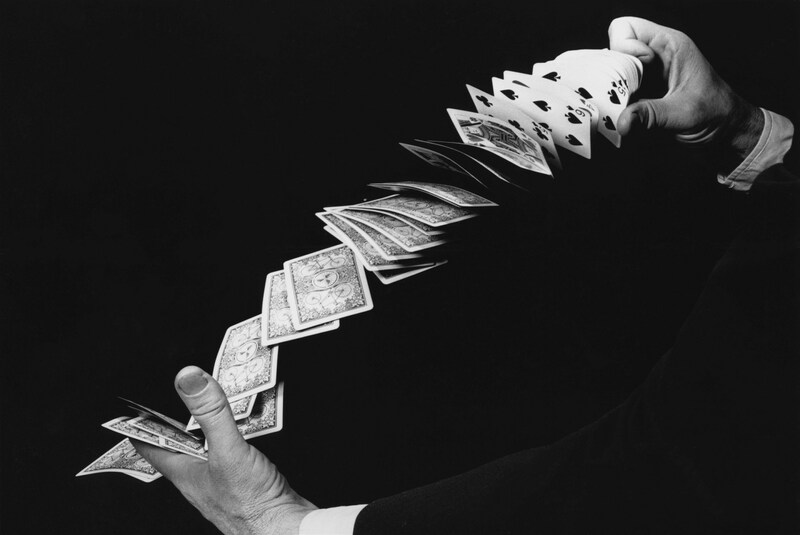 Harold E. Edgerton, Fanning Cards, 1940. 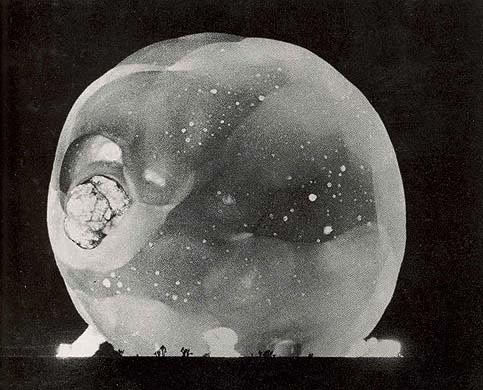 Harold E. Edgerton, Atomic bomb detonation near Joshua tree, 7 miles from ground zero. 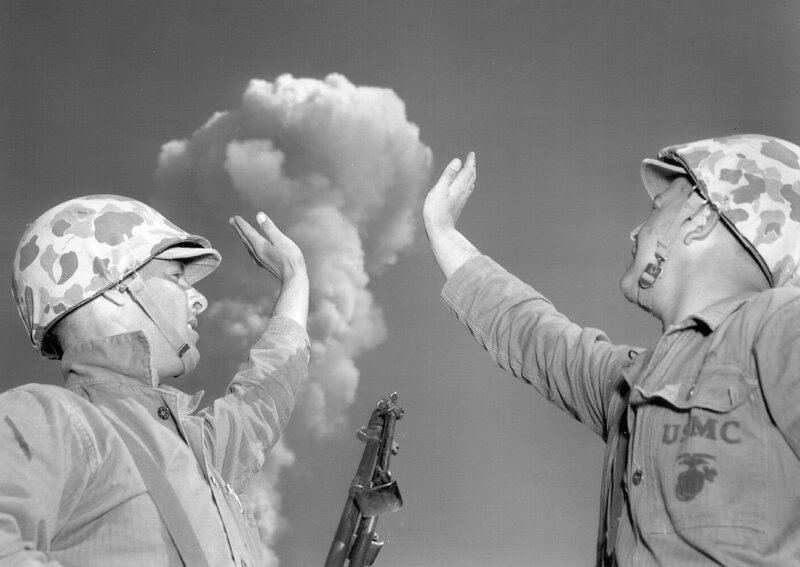 Photographer Unknown, US Marines Holding Mushroom Cloud, 1952. 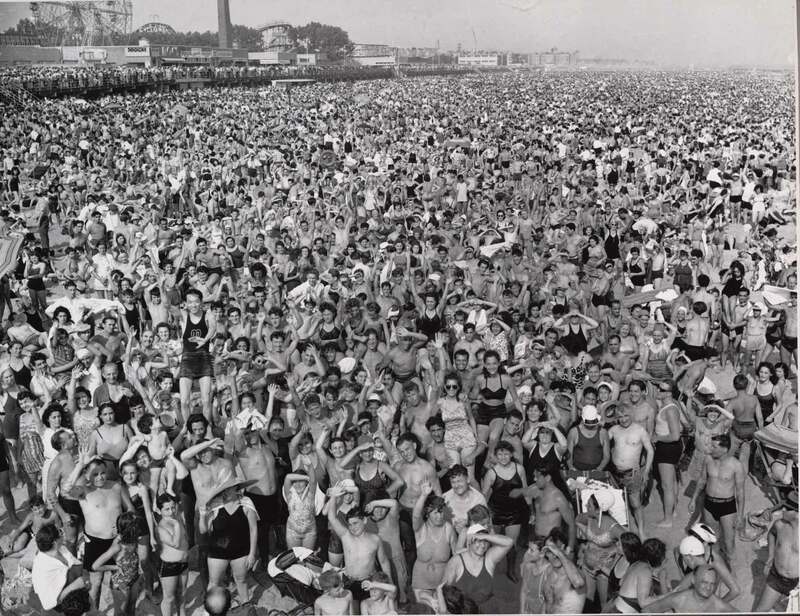 Weegee, Coney Island Crowd, 1940. 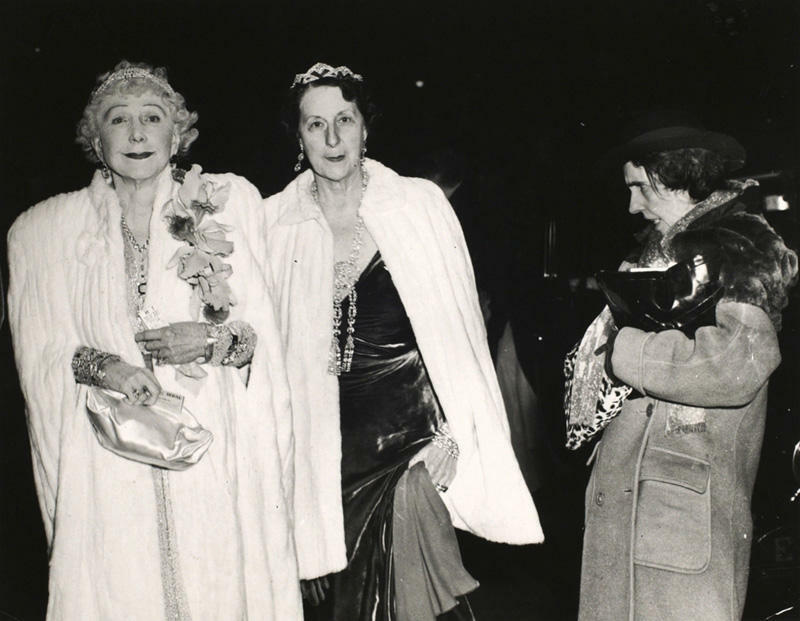 Weegee, The Critic (Opening Night at the Opera), 1943. 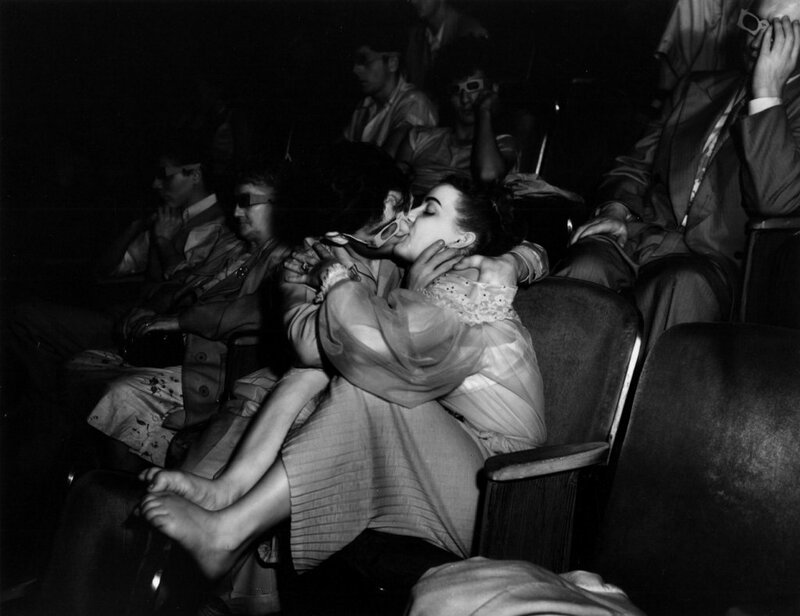 Weegee, Movie Theatre Kiss, c. 1940. 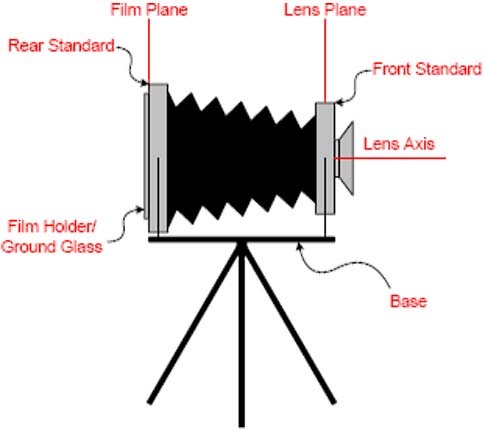 Infrared film.